Founded in 1892 in Houston, Texas, DePelchin Children’s Center is a nonprofit provider of children’s mental health, prevention and early intervention, and child welfare services. DePelchin helps more than 20,000 children and their families each year through a range of services including counseling, psychiatry, residential treatment, at-risk programs, and parent education in addition to foster care and adoption. The Mehta Family Foundation has supported the work of the DePelchin Children’s Center for a number of years. 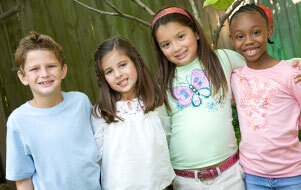 The DePelchin Children’s Center is the largest and most comprehensive provider of children’s social and mental health services in the Houston area. The Mehta Family Foundation is proud to support the DePelchin Children’s Center and their efforts that improve the lives of children and their families when they need it most.